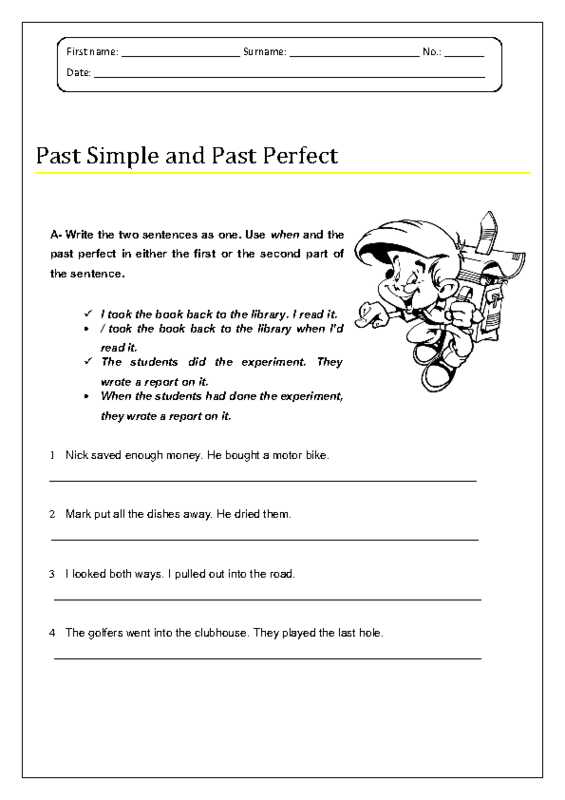 This is a worksheet for teaching the past simple and present perfect tense. 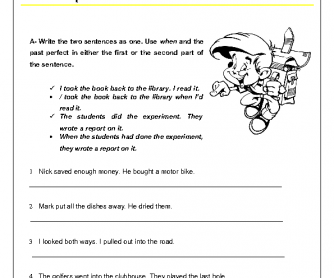 There are two different activities in which students are asked to write the two sentences as one using when and past perfect in either the first or the second part of the sentence and put the verbs in the correct form. The answer key is included.